You'll be £16.00 closer to your next £10.00 credit when you purchase From the Somme to Victory. What's this? Peter Simkins has established a reputation over the last forty years as one of the most original and stimulating historians of the First World War. He has made a major contribution to the debate about the performance of the British Army on the Western Front. This collection of his most perceptive and challenging essays, which concentrates on British operations in France between 1916 and 1918, shows that this reputation is richly deserved. He focuses on key aspects of the army's performance in battle, from the first day of the Somme to the Hundred Days, and gives a fascinating insight into the developing theory and practice of the army as it struggled to find a way to break through the German line. His rigorous analysis undermines some of the common assumptions - and the myths - that still cling to the history of these British battles. This excellent book contains eight essays previously written by the highly respected Professor Peter Simkins over the fifteen years prior to 2014. Each has been revised and updated with new material that has become available since they first appeared. In doing so, he tackles some of the myths, both old and recent, about the British Army on the Western Front, which he effectively demolishes based on sound research and erudite analysis - doing so in an understated and balanced approach. Simkins persuades with evidence, analysis and context, rather than exhorts with shallow assumption. 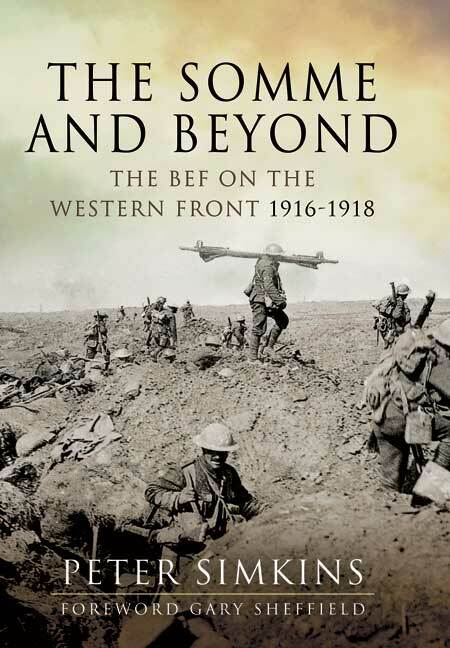 Written in a style that flows well, logically, and is easily digestible From the Somme to Victory is another welcome corrective to our knowledge of the British Army on the Western Front in 1916 and 1918. It is highly recommended for those who wish to understand the complexities of what the the British Army faced, rather than read the works of historians who simply seek to criticise. Very well reasoned and researched. A book that every student of the British Army on the Western Front would do well to have permanently by his or her side. Overall this is an interesting and rigorous analysis and one which deserves recognition. 'Frome Somme to Victory' is a collection of essays that are presented in an academic style in that evidence is thorough and every detail referenced to original sources, but Simkin's writing is fluid and easily digested... A book of serious weight and value for any military historian. Very useful for research and reference as well as being what I like to call a 'good read'. Peter Simkins worked at the Imperial War Museum for over 35 years and was its Senior Historian from 1976 until his retirement in 1999. Awarded the MBE that year for his services to the Museum, he is currently Honorary Professor in Modern History at the University of Birmingham, a Vice-President of the Western Front Association and a Fellow of the Royal Historical Society. He is the author of numerous publications on the Great War, including the book Kitchener's Army (1988), which was awarded the Templar Medal by the Society for Army Historical Research.